Our team at Thurm Dental understands that many people have real anxiety and fear when it comes to dental appointments. That is why our team wants to make it as easy as possible for you to receive the dental care you need. We offer several types of sedation to help put you or a family member at ease during the appointment. We can even sedate the patient for the exam, should that be necessary. The goal is to ensure the patient feels relaxed, comfortable and safe so dental problems can be addressed and the patient’s oral health and appearance can be improved. There are two types of sedation in dentistry. During conscious sedation, the patient remains awake. During unconscious sedation, the patient is put to sleep. What are the Different Types of Conscious Sedation in Dentistry? Laughing gas is a safe and effective sedative that is mixed with oxygen and inhaled through a small mask that fits over the patient’s nose. Laughing gas helps the patient feel relaxed, calm, and comfortable. The patient remains awake and alert, and can respond to any questions or directions the dentist has. The effects of laughing gas wear off within minutes of the mask being removed. The patient is able to drive home after receiving laughing gas. Oral conscious sedation is a fancy name for oral medication (pills) designed to decrease anxiety. Many people are familiar with some of these, such as Valium®, Ativan®, and Halcion®. The patient will take the prescription before the appointment, as directed by the dentist. The pills do not put the patient to sleep, but they usually dull the senses so the patient does not remember any smells, noises, or discomfort associated with the procedure. Different people react differently to oral sedatives. Dr. Thurm will be happy to discuss with you whether you will need somebody to drive you to and from your appointment if you choose this method of sedation. At Thurm Dental, we can also administer sedation through an IV. Intravenous sedation is typically used for shorter procedures. It is injected straight into the bloodstream, and takes effect almost immediately. The patient can either remain awake or fall asleep depending on the amount of the sedative administered. Many patients report feeling groggy after receiving IV sedation, which is why it’s important to have a designated driver who can bring the patient home. What is Unconscious Dentistry (Sleep Dentistry)? If you are nervous about going to the dentist, call our office today at (856) 335-1775. 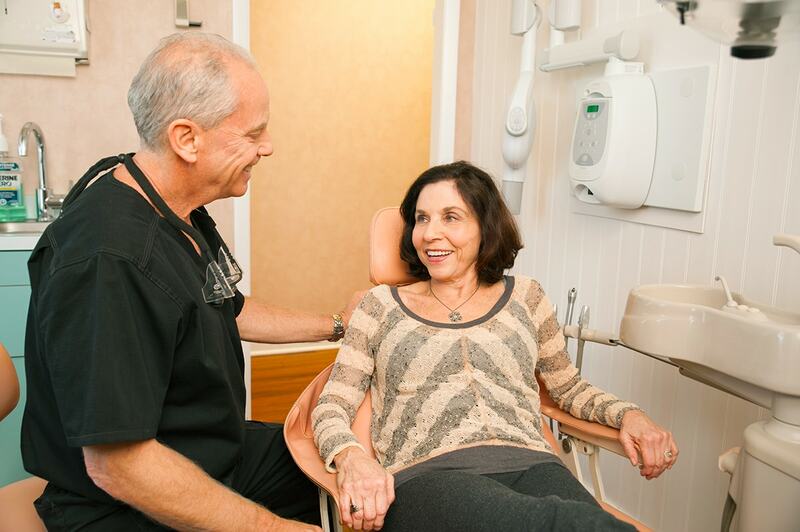 We’ll answer all of your questions, discuss the best method to ensure your comfort during your dental appointment, and help you look and feel better. Don’t put off the dental care you need any longer. We are here to help you. I was very stressed about my procedure, but Dr. Thurm and his whole staff put me at ease. I highly recommend Thurm Dental!! Best dentist! Highly recommend this office!! As usual everything was perfect. Everyone is always friendly and helpful. If you have any fear of the dentist, this is the place to go. They do whatever is necessary to help you feel comfortable. I highly recommend Dr. Thurm for dental work. I have had extensive work done by his team: partial bridge, crowns, root canals and fillings. Dr. Thurm and his staff are awesome. Would highly recommend them for anyone needing dental work. I was absolutely scared of any dentist…now I can’t wait to go back and get the rest of my teeth taken care of. Thanks again Dr. Thurm.